Over the past decade, Washington, D.C.’s wine bar scene has grown exponentially, with many new bars offering trendy menus to rival the city’s craft beer and cocktail lounges. A number of traditional bars and cocktail lounges have also upped their wine game recently, offering diverse, international wine menus and locally-bottled favorites to complement traditional draft beer and cocktail offerings. Cork is a trendy 14th Street restaurant opened by Diane Gross and Khalid Pitts in 2008, moving to a new location down the street in 2017. The restaurant offers an Old World wine program with more than 50 wines by the glass and 250 bottles available, with a focus on wines produced by small, under-the-radar wineries and an emphasis on vineyards using sustainable and organic farming practices. Flight tastings are available for sampling several wines at once, grouped both by region and varietal. Rustic small plates are served daily for lunch and dinner, with unique options available such as grilled lamb belly, pistachio oil avocado toast, and goat cheesecake. Since 2017, the restaurant has shared its space with its Cork Market, which serves a selection of prepared food alongside bottle sales and offers weekly tasting events and quarterly pick-up parties. Proof is a Penn Quarter institution that offers one of the city’s most extensive wine lists, with more than 40 wines served by the glass using an Enomatic wine system and more than 1,000 additional bottles available for purchase. Rarer and more expensive wines may also be sampled via the use of a Coravin device, allowing for significantly discounted glass prices. An eclectic New American menu is served alongside drinks, with globally-inspired offerings including duck cassoulet, pho beef terrine, and cherry pate. Lunch Crush specials are also served Tuesdays through Fridays, allowing diners to choose one of five entrees to pair with their choice of house wines or soft drinks. Tyber Creek Wine Bar and Kitchen is a sleek new bistro in D.C.’s Bloomingdale neighborhood, which offers unique pours alongside its standard wine offerings, including Georgian-produced amber wine, a style thought to be the first style of wine crafted millennia ago. The casual neighborhood hangout offers a family-friendly atmosphere and a large seasonal outdoor patio and serves wood-fired fare for lunch and dinner, including artisan flatbreads and wood-roasted vegetable dishes. 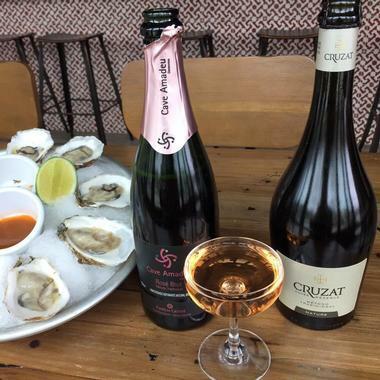 Two wines are tapped at all times, and bottomless rosé is offered at brunch on Saturdays and Sundays, along with classic cocktails such as mimosas and bloody marys and Stumptown cold brew beverages. 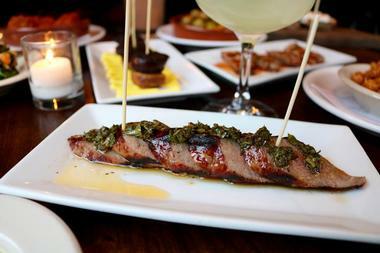 Barcelona Wine Bar 14th Street is helmed by executive chef Juan Rivera, a native of Honduras who brought his family-owned restaurant work experience to the States to work as the corporate executive chef for popular chain Ping Pong Dim Sum. Today, he crafts Spanish-influenced tapas and shareable small plates for the Barcelona Wine Bar chain, which offers locations in eight states, including a second D.C. location in Cathedral Heights. The restaurant is known for its upscale rustic atmosphere and extensive Spanish wine program, highlighting more than 230 wines produced throughout the country. Wine glasses, tapas, and sangria pitchers are offered Monday through Friday at happy hour prices, and a spacious courtyard seating area offers an outdoor fireplace. Bin 1301 Wine Bar is located in D.C.’s hip U Street neighborhood, offering seasonal pub fare and extensive cultivated wine and beer menus. Wine options include international red, white, and sparkling choices, along with a wide selection of vermouth, sherry, and port wine options. Cheese and charcuterie boards complement wine selections, with fare such as artisanal paninis, kielbasas, and seafood dishes highlighted on the restaurant’s dinner menu. Brunch is available Saturdays and Sundays, with options ranging from coastal favorites such as poached salmon to Southern fare such as shrimp and grits. 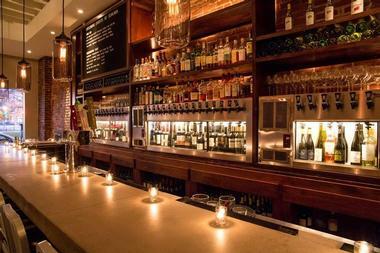 All-day happy hours on Mondays offer discounts on select drafts, cocktails, and wines by the glass or by the bottle. 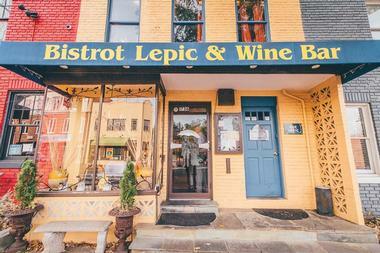 Bistrot Lepic and Wine bar has been an Upper Georgetown staple since 1995, helmed by executive chef George Vetsch since 2014. The traditional French restaurant has been hailed as a national favorite by international publications such as Bon Apetit and Town and Country and was named as one of Zagat’s top 40 restaurants in D.C. In 2002, an upstairs wine bar was opened at the restaurant, taking design cues from French and Asian culture to create an intimate, contemporary vibe. 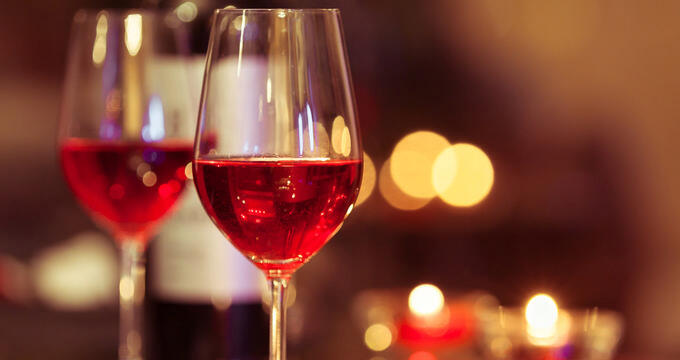 An extensive wine list highlights international red, white, sparkling, and dessert wine choices, with wine tasting events held weekly on Tuesday nights. 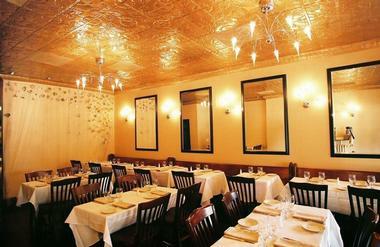 Prix-fixe dinner menus are served on weekly jazz nights, which highlight performances by local and regional musicians. Dio Wine Bar is a chic H Street bar and restaurant that focuses on natural wine offerings, including unique pink and orange wine varietals and skin-contact wines, which are produced with grapes fermented while still encased in their skins. The restaurant is operated by Sonoma County native Stacey Khoury-Diaz, who strives to raise the profile of female winemakers within a male-dominated wine industry. Around 20 varieties of wine are available by the glass, with nearly 100 selections available for purchase by the bottle. A selection of cheese and farm-to-table small plates are also available, along with a curated cocktail and local draft beer list. ENO Wine Bar is a hip wine bar chain located adjacent to Georgetown’s Four Seasons Hotel in a renovated two-story brownstone building. The restaurant and bar taps 27 local D.C., Virginia, and Maryland wines and offers an extensive bottle list of more than 230 varieties from around the world. Signature dishes and cheese and charcuterie plates are specifically selected to pair with wines, including an ENO Experience deal that serves a customizable cheese, meat, and truffle platter. Wine flights are also available, and wine education courses and public special events are offered by the restaurant’s ENOVersity program. 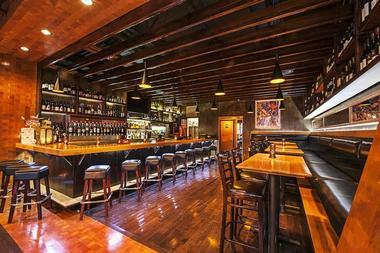 Downstairs, the 16-seat Cellar lounge offers intimate seating. 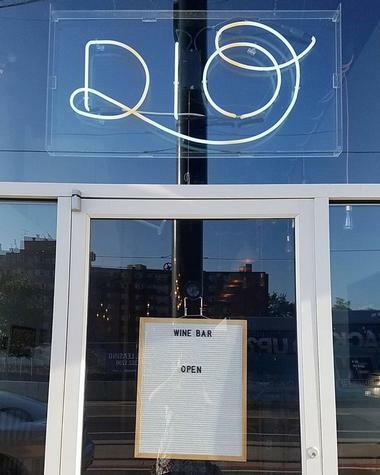 Flight Wine Bar is a popular Chinatown spot operated by sommeliers Swati Bose and Kabir Amir that focuses on international wines from lesser-known European and Middle Eastern growing regions such as the Balkans, Lebanon, and Hungary. The bar was one of D.C.’s first wine flight tasting bars when it opened in 2014 and showcases more than 500 hand-selected wines today. Flights feature clever names such as “Hipster Schmipster,” “Around the World Rosé,” and “Not Your Grandmother’s Chardonnay,” with many wines available poured via the Coravin system for by-the-glass purchase options for rarer and more expensive wines. A small plates menu is cultivated by executive chef James Barton, featuring options such as burrata with butternut squash chutney, crispy fingerling potatoes, and duck sliders. 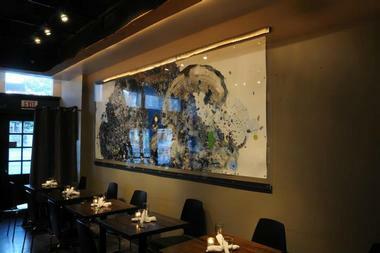 Jug and Table is located in D.C.’s eclectic Adams Morgan neighborhood, a favorite among artists and college students. The music-focused wine bar incorporates classic rock and independent artists into its theming, offering a vinyl turntable spinning underground favorites and themed wine lists with names such as Guns and Rosés. Wines selected by sommelier Theo Rutherford focus on Spanish, French, Italian, and Californian favorites and are available for purchase by the glass, half-liter, bottle, or shareable jug, sized at the equivalent of 12 glasses. Light fare accompanies selections, including options such as halloumi sandwiches, charcuterie and cheese boards, and steamed mussels. La Jambe is a classic French-style wine bar opened in 2016 by D.C. transplant Anastasia Mori, who wished to open a restaurant reminiscent of the wine-centric gathering places she grew up with in France. The Shaw bar strives to educate guests on authentic French cuisine with a carefully cultivated menu of cheeses, charcuteries, and acclaimed wines from top growing regions. Simple decor emphasizes natural light and creates an atmosphere for unwinding with friends after work or on weekends. Wines are available by the glass or bottle, along with a variety of imported French beers and regional cocktail favorites such as armagnac sours and French negronis. Le Chat Noir is a Friendship Heights bar that pays homage to Paris’ Chat Noir avant-garde cabaret, a Montmartre fixture in the late 19th century. It serves seasonal food menus in its Art Nouveau-inspired dining room, including classic French dishes such as escargots, bouillabaisse, and sweet crepes. A wide selection of French wines from noted regions such as Bordeaux, Alsace, and Bourgogne is available, along with several options from local Virginia vineyards. Upstairs, the casual Le Chat Perche lounge plays footage of silent film stars such as Gloria Swanson and Greta Garbo, further developing the restaurant’s artistic, turn-of-the-century vibe. Little Pearl is a Hill Center restaurant opened by the team behind Michelin-star offerings such as Rose’s Luxury and Pineapple and Pearls, offering a combined breakfast cafe and wine bar experience throughout the day. During the morning hours, the restaurant serves a variety of breakfast wraps and coffee shop beverages, then converts into an after-hours wine lounge serving international small plates such as okonomiyaki spring rolls. Two dozen wine offerings highlight organic and sustainable options from familiar growing regions such as Napa Valley and the Loire, with several non-alcoholic wine options offered. 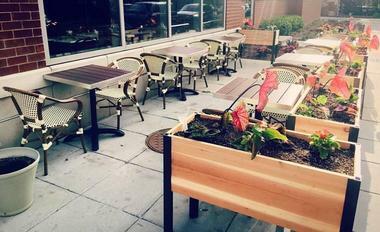 Two seating areas are offered, including a solarium-style dining room and a smaller coffee counter and bar. Maple is an Italian-influenced wine bar and restaurant in D.C.’s Park View neighborhood, offering a spacious seasonal back patio and a carefully-curated selection of wines available in full or half pours. Rotating craft beer drafts and bottles are also available, along with a variety of creatively-named cocktails such as “Netflix &...” and “Happy to Keep Dinner Warm.” The restaurant’s dinner menu emphasizes, meat, seafood, and pasta entrees, using fine locally-sourced and international ingredients for dishes such as Norwegian wild salmon, lamb ragu, and linguine puttanesca. On the weekends, a full brunch menu highlights dishes such as Baccala-style potato cakes, brioche French toast, and breakfast antipasti platters. 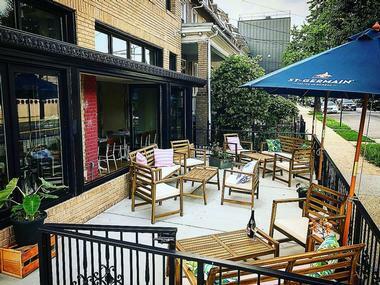 Maxwell Park is a favorite Shaw hangout that encourages visitors to take wine less seriously, operated by former Proof sommelier Brent Kroll. A wine program of more than 30 selections is rotated monthly, with current options and tasting notes listed on a casual bar chalkboard. Menus are loosely themed, with past menu groups highlighting Anything But Pinot Grigio or wines that pair well with Thanksgiving dinners. An extensive bottle selection is also available, and a daily Aperitif Hour serves a free glass of vermouth or other pre-meal liquors to all diners. A seasonal patio and fire pit is offered behind the restaurant, and a slate-topped bar offers USB ports. 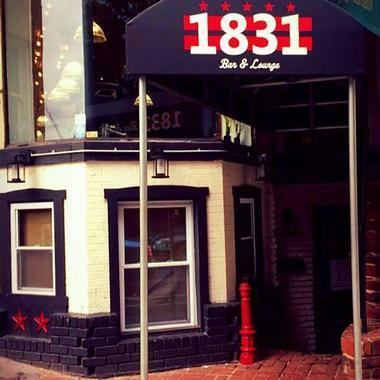 1831 Bar and Lounge is a hip Dupont Circle hangout that is the official Washington, D.C. bar for Miami’s elite sports teams, including the University of Miami Hurricanes and the Miami Dolphins NFL team. The steampunk-inspired bar showcases an industrial vibe and an on-trend music selection, serving small plates, including a late night bites menu with options such as handcrafted bagel bites and s’mores. 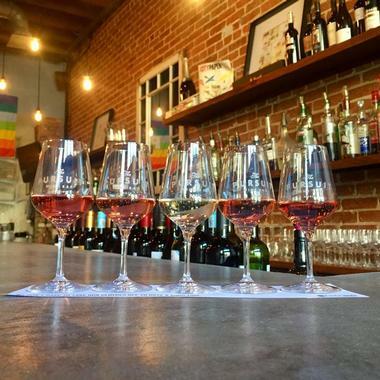 The bar is known for serving locally-produced Swagger port-style wine, which is crafted by Virginia’s Paradise Springs Winery and aged in bourbon barrels from the Bowman Distillery. More than 20 draft beers are also served, along with handcrafted cocktails and specialty dessert martinis. 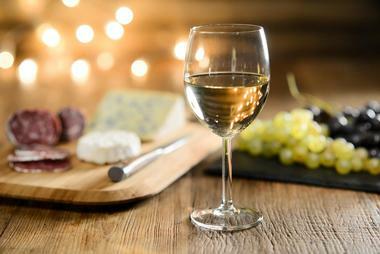 A daily happy hour offers deals on malbec, sauvignon blanc, and pinot grigio offerings by the glass or by the bottle. Acacia Food and Wine is a Van Ness wine and tapas bar that pairs the best of Mediterranean cuisine with an extensive global wine menu featuring more than 70 offerings. Old and New World wines are selected to reflect the best offerings from top producing regions such as Tuscany, Bordeaux, and Napa Valley alongside selections from new and under-the-radar producers. 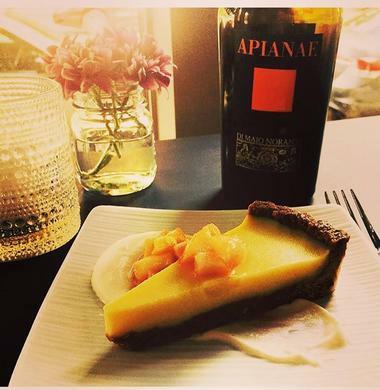 Wine and food pairings are suggested by the restaurant’s staff, complementing Italian, French, Turkish, and Spanish menu selections such as handcrafted pizzas, pastas, charcuterie boards. Signature cocktails are also served, along with an extensive selection of draft and bottled craft beers. Philos Mezze + Wine Bar is an upscale Mediterranean wine bar and restaurant in D.C.’s Mount Vernon neighborhood, serving globally-influenced fusion comfort food alongside extensive wine, beer, and liquor menus. The restaurant’s name is derived from an ancient Greek term meaning “friendship,” emphasizing the bar’s social gathering place atmosphere. A large variety of spreads and mezze are available for individual purchase, with larger combination options available for service for the entire table. Wines highlight Californian, European, South African, and New Zealand varieties, along with several local D.C. and Virginia selections. At brunch, unlimited drinks are available with the purchase of any entree. Primrose is veteran sommelier Sebastian Zutant’s first foray into restaurant ownership after tenures curating wine lists for top restaurants and bars such as Proof, Komi, and the Red Hen. 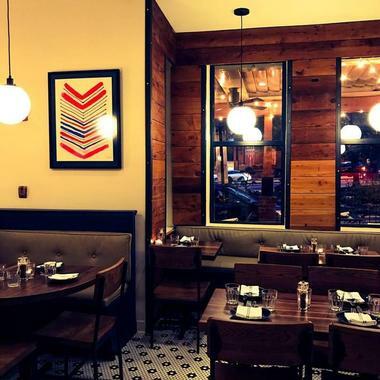 Zutant and his wife, Lauren Winter, a designer for D.C. restaurants such as Tail Up Goat and Tiger Fork, opened the bar in 2017, which has quickly become a favorite in the city’s Brookland neighborhood. Unique design elements include a zinc bar and ostrich feather lamps, creating a whimsical, out-of-this-world atmosphere for serving under-the-radar French and American natural wines, including custom wines produced under Zutant’s partnership with Virginia’s Early Mountain Vineyards. 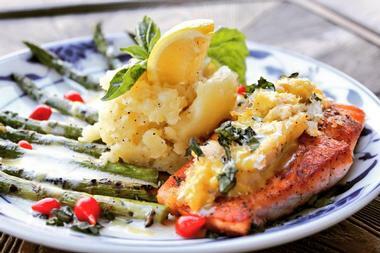 Food focuses on modern French bistro fare such as coq au vin and French onion soup. Ruta del Vino is a Petworth restaurant and bar that offers wines, cocktails, and entrees with a focus on Latin American vineyards and cuisine. The restaurant is operated by Michelle Rodriguez and Justin and Jessica Logan and is named for the Spanish term for way of the wine. Wine selections highlight underappreciated regions and varietals across Chile, Argentina, Mexico, Brazil, and Uruguay, while a full dinner menu eschews small plates in favor of hearty, wood-fired meat and seafood entrees. Classic Latin American liquors and cocktails are also served, including authentic Brazilian caipirinhas and top-shelf cachaça, mezcal, and singani. 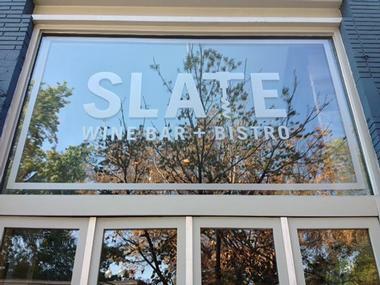 Slate Wine Bar + Bistro is a Glover Park favorite operated by certified wine specialist Elizabeth Banker, a managing member of the Wine Investment Group, and renowned chef Danny Lledó, an international award winner at a number of major paella cooking competitions. 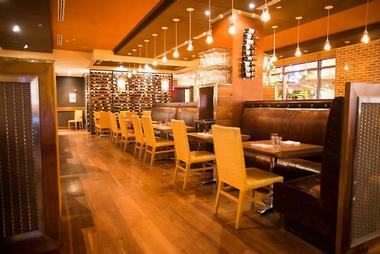 32 wines by the glass and 200 bottles are offered, including a collection of wines personally created by Banker. A wide variety of cocktails and after-dinner liqueurs are also served, along with full lunch, brunch, and dinner menus highlighting inventive New American fare. 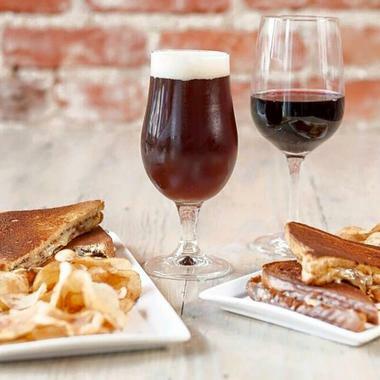 Small bites and bar snacks are available on discount at the bar’s daily happy hour, along with a variety of discounts on drafts, cocktails, and wines by the glass. Sonoma Restaurant and Wine Bar is a Capitol Hill staple located less than a block from the Library of Congress, making it a favorite after-work and corporate reception spot for the city’s government employees. It was founded by business partners Jared Rager and Eli Hengst and offers dishes highlighting the best local ingredients from throughout the mid-Atlantic, carefully paired with a long list of American and international fine wines. 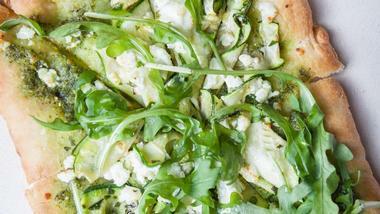 Menu options include rustic handcrafted pizzas, local grass-fed burgers, and entrees such as pan roasted Atlantic salmon. A weekday happy hour in the restaurant’s Avenue Lounge offers discounts on wines, beers, and cocktails. 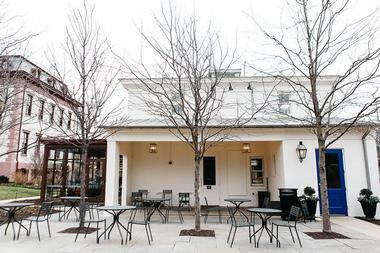 The Den Coffeehouse and Wine Bar is a basement-level offering at famed Chevy Chase bookstore Politics and Prose, which was founded in 1984 and has hosted renowned author guests such as J.K. Rowling and President Bill Clinton. Coffee shop drinks and light breakfast fare are served during the morning hours, including pastries, quiches, and bagels from local favorite Bullfrog Bagels. A selection of gourmet toasts, creative grilled cheese sandwiches, and other lunch selections are served all day, with housemade beverages such as lemonade and ginger-ade also available. Wine selections highlight Italian, French, and American favorites from noted regional wineries. A craft beer list is also available by the bottle, highlighting selections from regional breweries such as Atlas Brew Works, D.C. Brau, and Flying Dog. 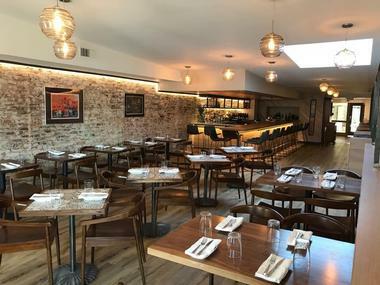 The Pursuit Wine Bar is an H Street Corridor standby opened in 2014 by owners Kathleen Davis and Thomas Boisvert that has been named as D.C.’s best wine bar three times by Washington City Paper. 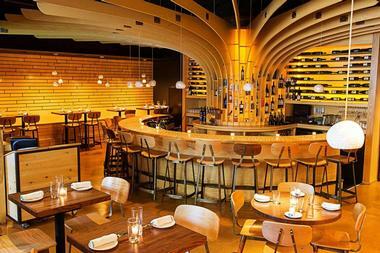 The casual restaurant serves comforting contemporary New American fare paired with a large list of wines available by the glass, including regional and international offerings. The bar is known for its inventive and affordable specials and happy hours, including Heavy Pour Mondays, which supersize standard wine pours, and Decanter Wednesdays, which offer tastings of a specially-selected rare or exclusive wine. A bottomless brunch is served on the weekends, offering unlimited food options and refillable pours of drinks such as pomegranate pomosas and spicy bloody marys. 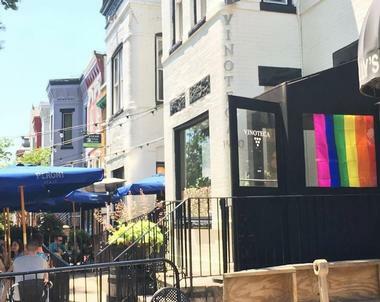 Vinoteca is a U Street wine bar that focuses on wines available by the glass, offering pours of nearly four-fifths of their extensive wine menu. 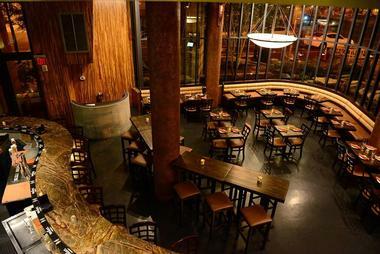 The neighborhood bar and bistro was opened in 2007 and offers a wide variety of wines produced throughout the world from top regions and up-and-coming locations. Small plates and entrees are available at lunch and dinner, including options such as root beer-glazed ribs and chili miso chicken wings. For brunch, unlimited pours of classic cocktails pair with upscale dishes such as duck confit Benedict. A large backyard patio and plaza area offers a covered bar and two bocce courts for seasonal entertainment.